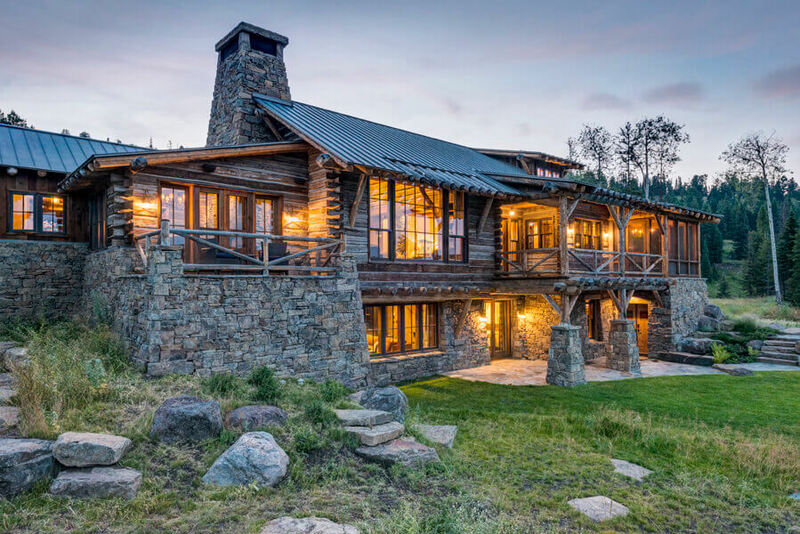 The owner's love for the architecture found in Yellowstone National Park led to utilizing reclaimed hewn logs, bark-on cedar posts and indigenous stone. The owners of this Big Sky, Montana home hail from the southeast but sought to create a new family tradition of skiing, hiking and enjoying the classic Montana mountain lifestyle. A love for the architecture they found in Yellowstone National Park led us to utilize reclaimed hewn logs, bark-on cedar posts and indigenous stone to not only connect this home to the Park but serve as a continuation of the surrounding landscape as well.